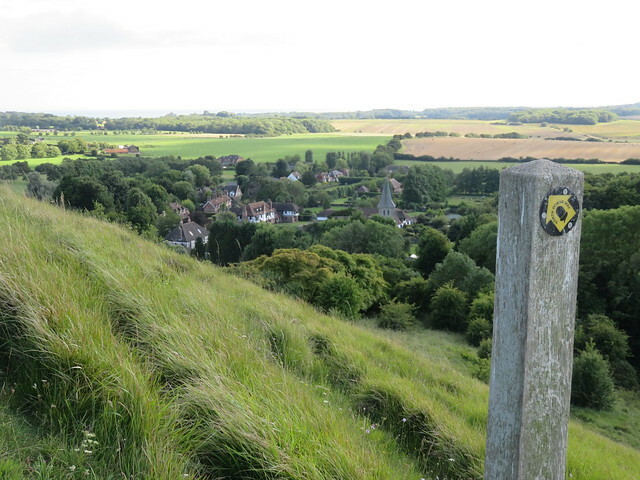 Walking the North Downs Way from Etchinghill to Dover in Kent. 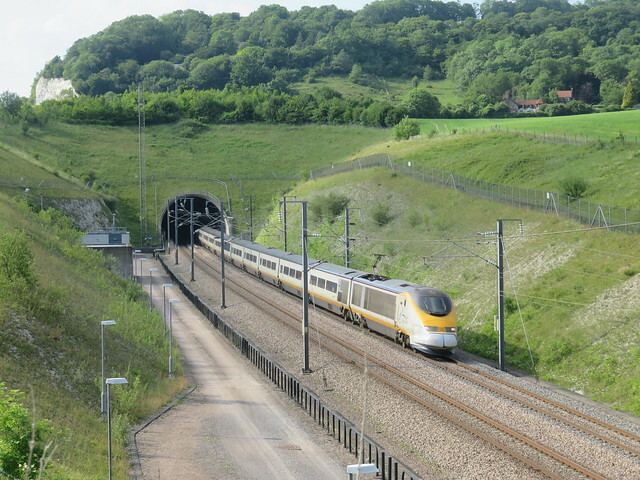 The Channel Tunnel terminal, the sea, a sound mirror, France in the distance, fortifications and the end. 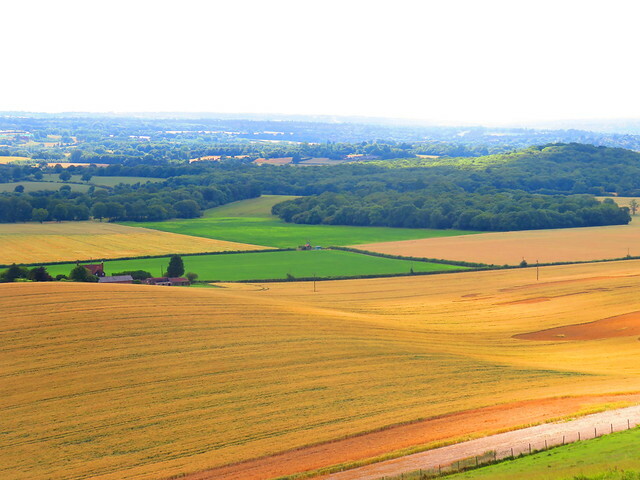 Walking the North Downs Way from Wye to Etchinghill in Kent. Some good views of villages and countryside, plus a pub and an airfield. 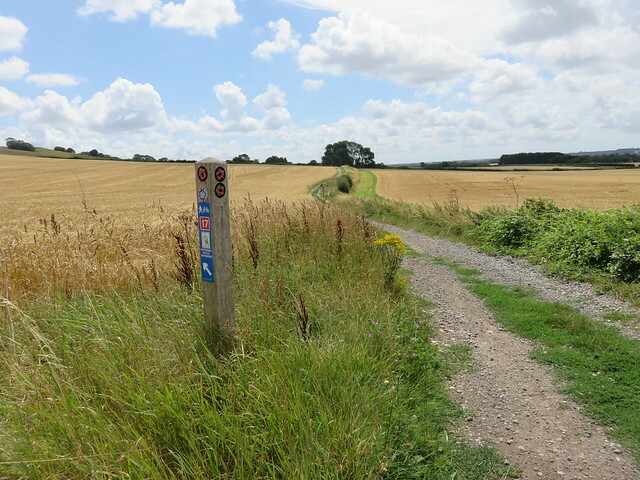 Walking the North Downs Way from Lenham to Wye in Kent. Another decent stretch; some churches, a couple of pubs – and very little exposure to motorways! Walking the North Downs Way from Detling to Lenham in Kent. 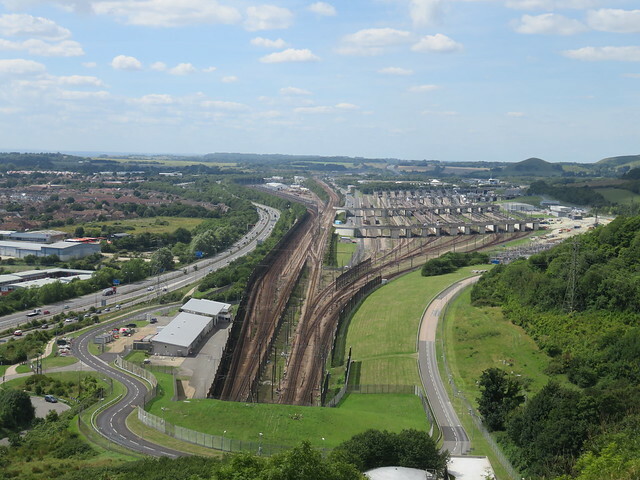 Some nice views at last, a ruined castle, a good pub – and very little exposure to motorways! Walking the North Downs Way from Cuxton to Detling in Kent. Crossing the Medway, and High Speed 1 as a change from motorways.